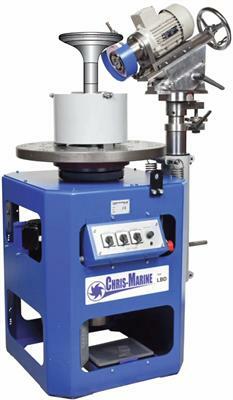 For grinding of valves and valve seats on large bore 2-stroke diesel engines. Designed for the grinding of valves and valve seats on large bore 2-stroke diesel engines, the pneumatically driven LBD has a high range of operation, up to 650 mm valve and seat diameter. Features include anti-vibration mountings and self-centering of valve and seat. The LBD comes delivered set to fixed angles.